A resonator guitar has a body made entirely of steel. You would know the sound immediately – it jangles and creaks in a way that is definitively that of the blues. It’s the sound of the Deep South, whether that be the United States or Africa. 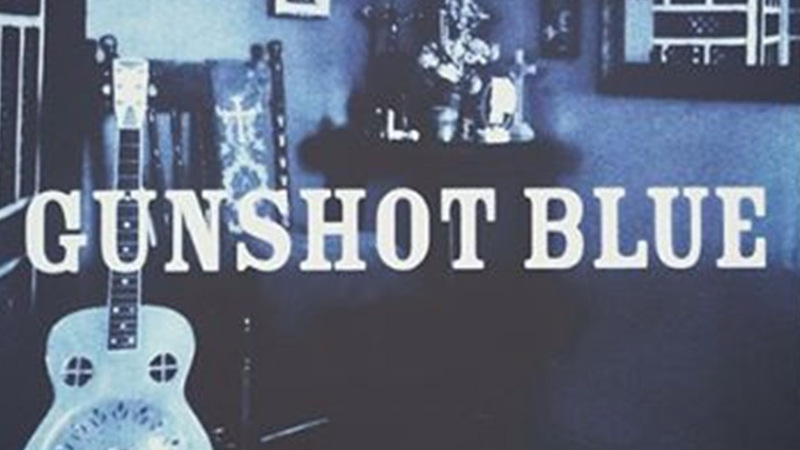 The new release by Joburg-based blues-folk act Gunshot Blue, seeks to capture that sound and the evocative South African wilderness along with it. It’s the work of Frans Borman (Jet Black Camaro) and Pepi Dimevski (Bloodline ltd, Last Bout) and features additional parts only when necessary. The majority of “12 396km” features minimal arrangements, relying more heavily upon the blues aesthetic than heavy instrumentation. Traditional blues guitar arrangements are the focal point of the album. Borman’s vocals are suitably relaxed and low-key, making them an effective vessel for the imagery-rich lyrics. Combined with the folk element, the material would be just as suitable next to a camp fire as it would on a stage. Songs like ‘Eucalyptus Tree’ will satisfy the need of old-school blues fans with its good-ol’ blues chord sequence and embellishments upon a repeated vocal theme. Conversely, ‘Higher’ takes the country-folk approach and is one of the few tracks to feature drums. Even when percussive elements feature at all their presence is unobtrusive, yielding to the playing and singing of the two core members. One of the glaring questions with locally produced albums is whether they sound South African, and by extension whether local is still lekker. In the case of Gunshot Blue, the vocals bring that familiarity. There’s no Southern drawl and while the accent isn’t overwhelming, there are times where it is satisfyingly apparent that Borman is from Joburg. In the haphazard verse of ‘Saddle Up’ , he goes as far as to say: “Sun is high/ Skin is dry/ I’m in kak now”, a truly South African way of putting things. The sparse arrangements, blues roots and descriptive vocals make “12 396km” a perfect addition to a road trip through the Karoo, or perhaps on the way to Oppikoppi.